How Do I Promote WPManageNinja? The most popular is by linking to our site with either a banner advertisement or a text link. We provide you with several examples and banner ads so it’s easy for you to get started right away. It depends how fast you can type. Our short application only takes a minute to complete and you are instantly approved into our program. From within your affiliate account, you will have access to our library of banners which are embedded with your unique tracking code. That’s how we’ll be able to tell if a referral came from you or somebody else. We offer 20% commission from each successful sale. There is no limit in the amount you can earn each month. The harder you work to promote us, the better chances you have of making more money. For example, say person A sees WPManageNinja banner ad on your site. They click through it and purchase one of our plugins for $199. You will earn $39.8 as commission (20%). The commission or the order needs to be 30 days old to withdraw the commission. You will instantly be notified via email when a sale has taken place. All you need to do is follow the steps below and then place banner or text ads on your website embedded with your affiliate id. It’s that easy and doesn’t cost anything to join! We even have free analytics so you can see how many click-through you’re generating. All affiliate payments are made via PayPal. If you don’t have a PayPal account, please sign up for one first. It usually takes a few days for them to verify your information. 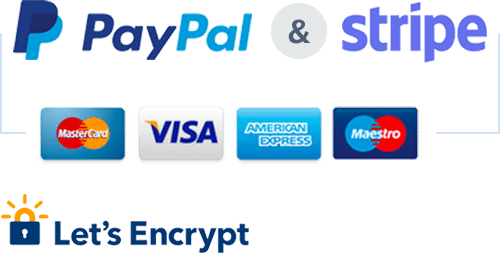 You also need to make sure your payment method and PayPal email address are correctly entered within your WPManageNinja affiliate account. Any account incorrectly setup will not be paid for that cycle. At the end of each month, we run a report to see how many affiliate sales were made. Each transaction is manually audited due to an increase in affiliate fraud. Assuming your affiliate commissions are valid (see “I Made a Sale but didn’t get Paid” below), payments for the prior month will then be sent to your PayPal account by the end of the next month. For example, if you had three sales in September, you will be paid by October 31st. The minimum payout amount is $50. No. You will not receive credit when purchasing one or more products through your own affiliate link. You may receive an automatic notification from us to let you know that a sale has taken place, but your affiliate payout will not include this amount. So don’t waste our time and try to be tricky by using another email address or some other clever method. It’s very easy for us to tell if someone purchased our products through their own affiliate link. Bottom line: If there is any question about the legitimacy of the affiliate sale, you will not be paid. Yes, we are offering all commission for upgrades and license renewals. Whenever a visitor clicks through your affiliate link, a 90-day cookie is set. If they make a purchase within those 90 days (and they don’t clear their cookies), you get credit for the sale. When someone clicks on your affiliate link, they are redirected to our website and a cookie is set (affwp_ref) with your affiliate id. As long as they don’t clear their cookies or click on another affiliate link before checking out, the sale will be credited to you. What occasionally happens is a person clicks on your affiliate link, gets redirected to our website and before checking out, searches Google for a coupon code. If the user already has a cookie already set for our site, that means someone came to our site from an affiliate link 2 days ago and he is researching more about our products in different sites, then goes to another site and that has an affiliate link for us too. There will be one cookie which was set 2 days ago. The new affiliate cookie will not be placed. That means the only the first referrer will get the commission. Can I Promote WPManageNinja in the Forums? That’s a big no, sorry. We don’t want everyone spamming the forums or creating profile signatures embedded with affiliate links. Access to the forum is a privilege so don’t make us warn you twice otherwise we’ll have to terminate your affiliate account. This may include withholding any outstanding payments as well. Just behave, mmkay? The great thing about affiliate programs is you can be as creative as you like. Most people take the easy route which is just placing affiliate banners on their site and hope someone will eventually click on it. While this is fine, it’s not always the most effective method. Let us give you some insider marketing advice which we’ve learned from our years of online affiliate experience. Take a two-prong approach when promoting WPManageNinja. Use banners on your site but also leverage the power of a blog post. Writing a review about WPManageNinja will not only get more traffic to your site but it’s 10 times more likely to generate an affiliate sale. Why? Because people are searching the web looking for product reviews before buying products. They are already in buying mode and if your review convinces them enough, they will click on YOUR affiliate link to buy WPManageNinja. Of course make your reviews honest and tell them why you love WPManageNinja so much. Providing false and/or misleading information about WPManageNinja discount codes. Running paid search engine marketing campaigns (i.e. AdWords) on WPManageNinja brand-related keywords mentioned above. Using link farms, spamming forums/websites, and/or taking part in any illicit acts to drive traffic towards your affiliate links. Any terminated affiliate with pending payments for the current month will not be distributed. All decisions are final and accounts terminated or suspended will not be reversed. If you have any question, feel free to use our contact form.